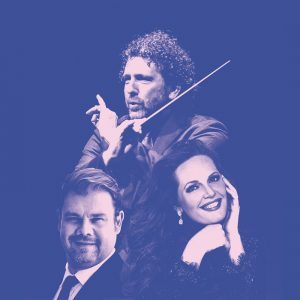 To celebrate WASO’s 90th year, Principal Conductor Asher Fisch, one of today’s supreme Wagner interpreters, leads two performances of Richard Wagner’s Tristan und Isolde at Perth Concert Hall. These performances are sung in German with English subtitles. Composed in a state of ecstatic infatuation, this groundbreaking opera is one of the greatest of all tragic love stories. Young lovers Tristan and Isolde share a passion so overwhelming that it transcends the bounds of their earthly existence. Thwarted in life, only in death can their love be transfigured and their souls united in a metaphysical hereafter. To portray the heightened passions of this epic drama, Wagner pushed his music into unprecedented expressive territory, revolutionising the art form and forever changing the boundaries of the possible. WASO is thrilled to welcome the finest Tristan of our time, superstar tenor Stuart Skelton, and world-renowned soprano Eva-Maria Westbroek to headline an exceptional cast of Australian and international singers. Witnessing a great performance of Tristan und Isolde is a revelatory experience. Be transported by the emotions, intensity, drama and sheer sumptuous beauty of Wagner’s magnificent masterpiece.